1-BK1Q was a key staging system for the Drone Regions Federation. Under the control of RAZOR Alliance, it enabled home defense. This article is your weekly brief about the ongoing conflict between Goonswarm Federation and Guardians of the Galaxy. 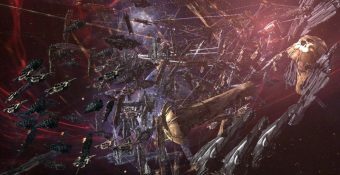 Caldarius Alliance, a Japanese alliance in GOTG, anchored a Keepstar on April 4th in their staging system of A-G1FM. Do you have a perspective on the eastern conflict? Whether you’re a line member or a CEO, EN24 would appreciate your input. Sign-up for the Target Caller program by going to our Discord, here. The following is an announcement issued to us regarding an event taking place tomorrow evening. This year we go at it again. The streamers of streamfleet are back to find the good fights! EVE Online – The EVE Fanfest 2018 Megablog! Ladies and Gentlemen. Fellow capsuleers. That time of the year is once again swiftly approaching. As we work feverishly here at CCP Headquarters to finish up preparation work for Fanfest 2018, the clock is ticking and Fanfest 2018 is just a week away. Moon Mining in High Sec: What does it mean for newer players. Moon Mining came to +0.5 systems recently. It has been having an impact on both Alphas and Newbros. Omegas obviously benefit from this kind of mining, but we are not going to focus on them today because the benefits seem obvious. 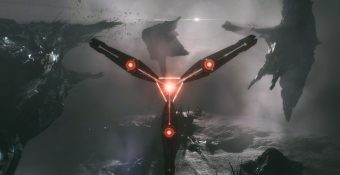 Hello, my name is Seraph IX Basarab and I’m an opinion piece writer and analyst of Eve politics and war here at EN24. The thoughts and opinions written here are mine and not meant to represent anyone else’s. Disclaimer: The author is an Officer in one of the Alliances involved but the analysis and opinions herein are entirely his own. Fanfest 2018 Alliance Attendance Contest – Results! Fanfest 2018 is just a week away and the results of the Alliance Attendance contest are in! 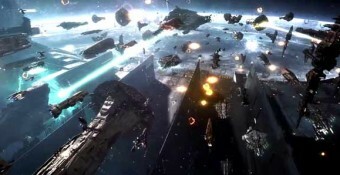 More than 60 alliances are represented at this year’s event, and over a quarter of those have more than 10 pilots attending Fanfest next week. The tides of battle are fickle indeed. After a past few weeks that have seen capitals going down in massive balls of fire, from the North down to Catch, these large fights illustrate a taste of what a little overconfidence can result in. It is with great anticipation, and a hint of sadness, that Eve News24 will be closing its operations as we merge teams with Eve Onion to form a new site: NCdot News Network (NNN). It’s something of a truism in EVE that the Imperium doesn’t do massive coalition deployments well. Hakonen was a flop, and 9-4PR2 was something of a fiasco. Various reasons are touted as the cause, typically centering around the Delve krab species. Disclaimer: The author was piloting for one of the parties involved and the opinions expressed are solely his own. For explanation and discussion on ship balance changes in this patch, please see this dev blog. We've opened the application form for CSM applications. Candidates have until 12:00 UTC on Friday March 23 to submit their applications and required documents. Dev Blog: Little Things Coming In The March Release! 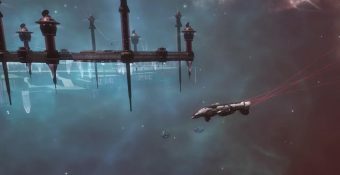 CCP karkur here to tell you about a few little things we’re bringing you in the March release and also about a few other that have been deployed in the past few months.